It’s no secret that we at Big Buds are big advocates of screen of green marijuana growing, better known as SCROG. So far we’ve given you the pros and cons of SCROG, plus the tools you’ll need to DIY your own setup. We also talked about Texas company Scrogger’s game-changing aboveground portable structure. Now, let’s turn our attention to SCROG’s belowground root zone. An optimized SCROG root zone fosters maximum delivery of hydroponics nutrients, oxygen and water into cannabis roots. It’s important to note that marijuana plants grown using this method need a larger-than-average root zone to support larger-than-average root mass and plant canopy. Root zone optimization is essential because a SCROG plant is forced to grow in an unnatural way, with a much different aboveground profile than nature intends. This profile is achieved by manipulating the plant through trimming, bending, and training its branches into a horizontal rather than vertical profile. Plants best handle SCROG-related stressors when they’re provided enhanced root zones, as we’ll outline below. Successful SCROG growers enhance their plants’ root zones by utilizing high-efficiency pure hydroponics systems such as aeroponics and deep-water culture. Pure hydroponics systems used in conjunction with premium nutrients — such as the Advanced Nutrients pH Perfect hydroponics base nutrients system — deliver the maximum amounts of nutrition, water, and oxygen that SCROG plants can absorb. 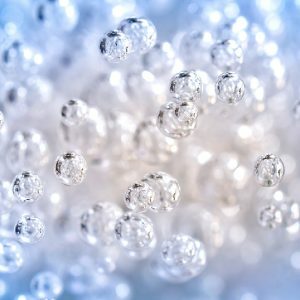 Growers using hydroponics systems that contain solid root zone media such as rockwool, coco coir and grow rocks should also use premium hydroponics nutrients. Savvy growers who employ the screen of green method provide more space for root growth than is provided in a non-SCROG garden. If SCROG plants are growing in individual containers rather than a grow table or rockwool slabs, SCROG growers are wise to use larger containers than they’d grow in if they had a non-SCROG garden. However, if SCROG plants are grown in grow tables, aeroponics tubes or slab systems, growers should have fewer plants per square foot so as to accommodate larger root mass and aboveground growth. 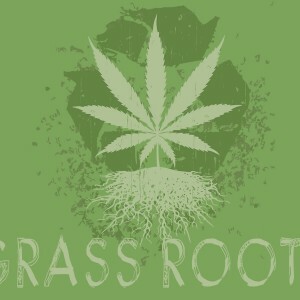 Marijuana roots need nutrients, oxygen, water and darkness. They’re further enhanced by beneficial microbes and specialized supplementation engineered specifically for marijuana roots and found in the likes of Advanced Nutrients’ Voodoo Juice, Piranha and Tarantula. Microbes in these products bond with marijuana roots to increase root size, function, branching and absorption rates. They also protect roots from harmful microbes and from drought or overwatering. Roots enhanced with beneficial microbes create increased growth rate and plant vigor, which translates into increased bud size and potency. Beneficial microbes thrive when they’re fed carbohydrates such as those found in Bud Candy, which gives you the added benefit of increasing the sweet taste and aroma of cannabis buds. Marijuana roots benefit from being fed House & Garden’s Roots Excelurator, along with B vitamin booster B-52 and Ancient Earth, the latter of which is an organic formula that helps roots intake nutrients faster. SCROG roots do best when they’re in a 68–70°F temperature range, and when reverse osmosis water is used in the grow op. The most productive SCROG marijuana plants I’ve ever seen were plants grown using the abovementioned inputs, given reverse osmosis water, and with the root zone contained in a large solo deep-water culture bucket, like this 13-gallon, FDA-approved bucket from X Factor Hydro. 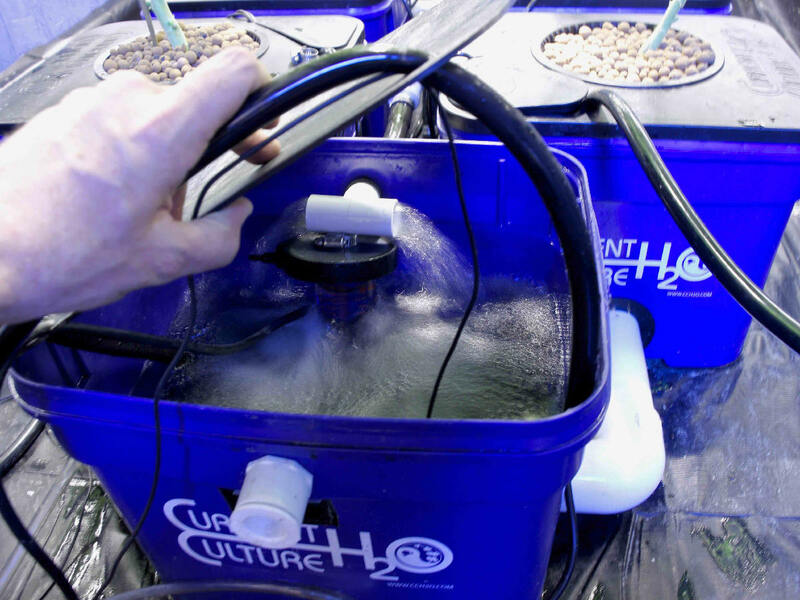 The use of a solo large-bucket pure hydroponics system facilitates ample root size, maximum feed rates, root oxygenation, flexible plant spacing, and easy access to the plant from top to bottom and all around its perimeter. When it comes to SCROG growing, the main takeaway is that this method is a great way to get maximum yield from a grow op where you’re limited in how many plants you can have, or how tall your plants can grow. Look out for our coming articles on SCROG marijuana growing, where we’ll explore SCROG lighting, feeding and training.